The next patch will include several quality of life improvements. One of them is a full breakdown of hit chance and critical chance to explain why those values are what they are. In addition, the counter attack information will now give the player the % hit chance of the counter attack, the damage range it will do and the critical chance on it. In addition, the unit summary displayed when hovering over an enemy now includes more useful infomration. The counter attacks, unit's morale and remaining action points are also displayed. The next update should land tomorrow and includes several other improvements and bug fixes. • Fixed the bug where burning ground effects (e.g. burning arrow or oil bomb) would heal the damage they do to a character occupying the position. • If a character’s life regeneration per turn became negative (due to an enemy debuff), the damage is displayed correctly and the character plays a damage animation at the start of the turn. • Fixed a bug where hit chance was capped between 15% and 85% instead of 5% and 95%. 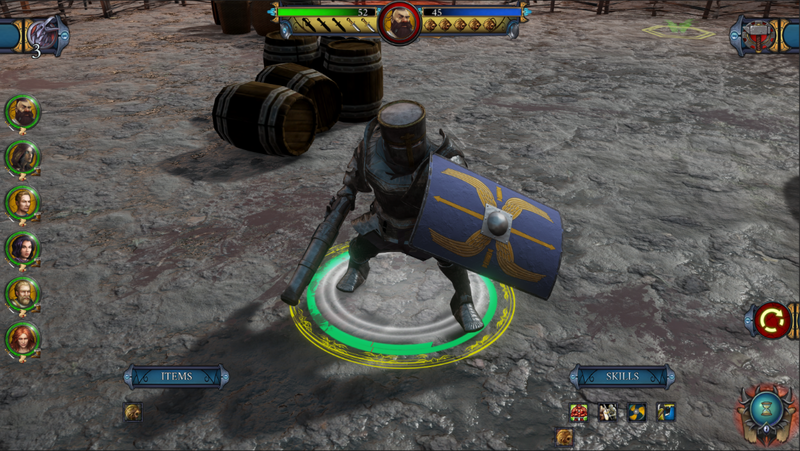 • Moved the attack summary window to the bottom of the screen so as not to obscure the active character’s HUD. • Added counter attacks, morale indicators, and action point information on the tooltip displayed when you hover the mouse over an opposing faction’s character. • Added the breakdown of the parameters that decide final hit chance in the attack summary. This now shows the impact attack range, target evasion, target cover bonus and surrounded bonus has on the final calculation. • Added the % chance to hit, % chance of critical and damage range that would apply in the attack summary for an enemy’s counter attack. • Added a rotating yellow indicator on the currently selected player character to make him or her easier to identify. • Abilities now mostly use the caster’s attack skill to determine whether or not they hit instead of a base hit chance. They also now factor in all other range hit modifiers such as distance, target cover status, terrain effects, caster’s morale, etc. • Reduced the increase to AP cost for movement and attacks in complex mode from 1.5x current level to 1 point per level (excluding level 1). For example, a level 2 character would increase their movement and attack AP cost by 1 point. • Users can no longer click on various UI buttons while the tutorial windows are displayed. • Ambiance sounds have been added to all levels. These are meant to play alongside background music to provide greater immersion. They can be turned off in the gameplay options if no longer desired. 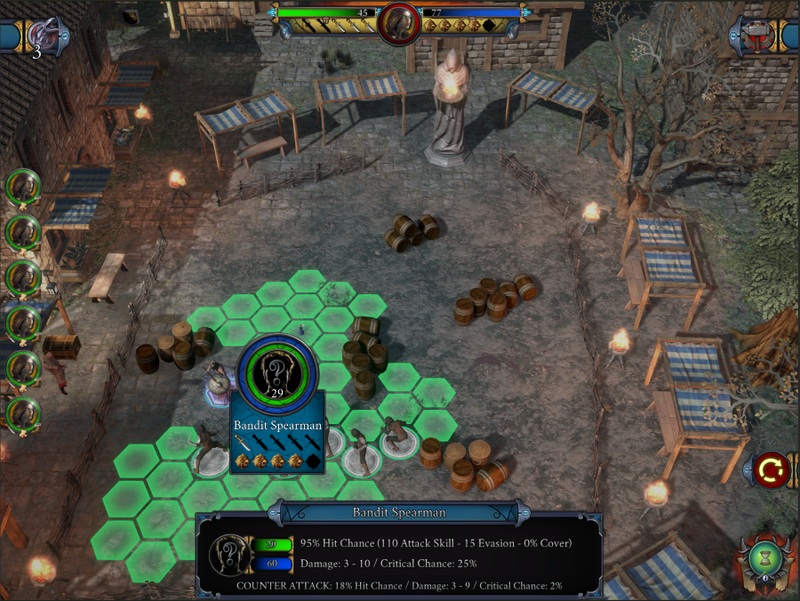 • The game rules now explain the morale bonus / penalty applied at the start of each turn based on the number of allies and enemies with a 5 tile radius. • The panic status is now removed if the character’s morale is raised above zero. This allows a panicked character to perform abilities if bolstered by the sight of an enemy being killed or a morale-boosting ability. • The cleric class now has access to his healing touch ability at level 1. • Reduced the range of healing effect from 10 – 50 to 25 – 35 for the cleric healing touch ability. • Units affected by abilities that boost or reduce morale no longer revert to their previous morale value once the ability’s effects subside. The next update will include some new magic items in one or more sets. The Ambermage item set has been completed and is a nature-themed set suitable for wizards and healers. The items have health and strength buffs and all grant one new ability. These abilities are nature-themed and consist of summoning wolves, heals, boosting melee strength and so on. Hopefully, the next update will include at least one more set of magic items that will be more suited for a warrior class. The next update will also include more random encounter levels and the usual round of improvements and bug fixes. • 3 new random encounter levels added set in the ruins of the lizardmen temple. These are unlocked once the player reaches the lizardmen ruins in the campaign. • Ambermage and Gatekeeper magic item set added. Each item adds a new ability for its wearer and other stat bonuses. These items are available as battle rewards and in the shop. • Added a new cinematic scene that plays after the final campaign level. • Unit stat and terrain stat screens can now be moved to any position on the screen. The position is saved once the player presses the end turn button. • Reduced the zoom out during the enemy turn. • Reduced the size of close buttons so that they appear less blurry. • Added names of character classes below the portrait on team re-select screen. • Fixed the bug where overwriting an existing save slot and then creating a new team but not completing selection would result in a save slot with an empty team. • Abilities that boost damage no longer reduce minimum damage below starting value once the ability's duration ends. • Unit portraits in the inventory screen no longer overlap each other when all characters can use a selected / highlighted item. 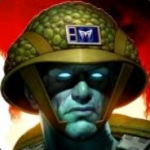 • Removed incorrect information in Game Rules and Game Difficulty explanation text. • Unit life indicators now project correctly on the carpets in the tavern and other interior levels. • Panic labels no longer appear twice when panic is triggered. • Increased Tree Spirit poison, stun and bleed resistance values. • Increased Tree Spirit starting life values and life regeneration per turn. 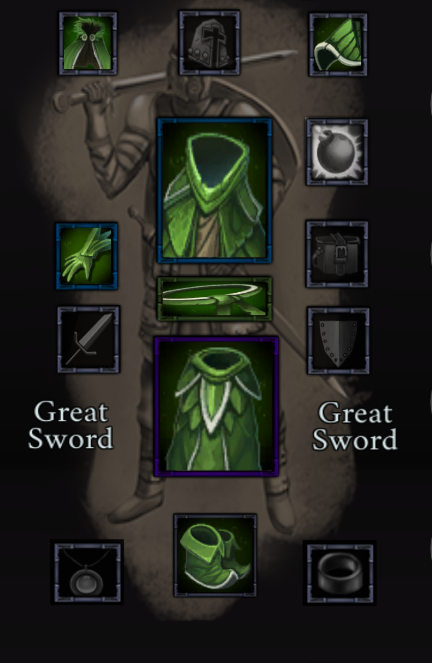 • Reduced Tree Spirit armour value. • Reduced the movement AP cost for Tree Spirits to allow them to move further per turn. • Morale reduction from missile attacks to those units adjacent to the target reduced from 0 - 15 to 0 - 8 per attack. • Removed the bonus XP awarded on Hard difficulty. • Bug Fix - The stat sheet and terrain information screens have been reset to a central position by default. 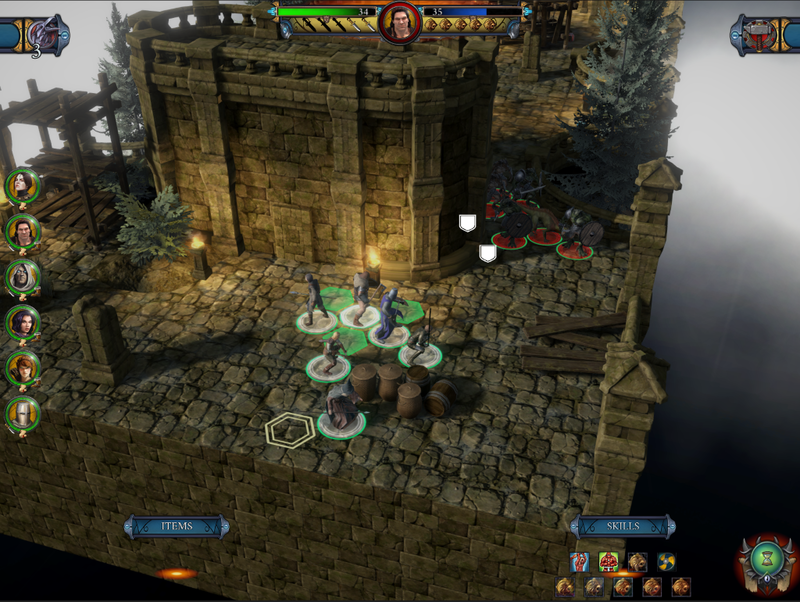 Players can then drag them to their desired screen position and then save it by clicking the end-turn position. The "L" key now resets these screens to the default centre position. This change was made as some users were not seeing the UI windows on their monitors. • Enhancement - If a character moves next to an enemy that is hiding behind a half cover obstacle, that enemy will be forced to stand up fully and no longer benefit from that half cover. This represents the fact that half cover is low on the ground and requires characters to crouch down to benefit from them. This also allows players to use melee fighters to disrupt half cover protection of an entrenched enemy line. • New Content - A new cinematic scene has been added after the final battle at the end of the campaign. Here is a quick WIP of the Dwarf Gunner class, tentatively called Dwarf Bombardier. However, we may change it to something more fantasy-esque such as "Gate Warden" or something similar. If you have a good suggestion, please share below or in the community discussion. The male version will be heavily armoured and armed with a hand-cannon and tower shield. It will be a front-line unit but one that relies on a powerful missile attack to actually kill his enemies. He will have various defensive buffs and artillery weapons such as oil bombs and perhaps be able to summon a mechanical ally of some kind. The design for the female variant may be a slightly longer range missile unit that replaces the tower shield for a long rifle. She will be designed to be a more mid-range shooter with greater accuracy. If you have thoughs, please share them as her design is still in the early stages.